Extract frames from any video files. Edit the extract frames directly. While there are many screenshot tools that help you extract frames from video, but most screenshot tools don't offer a good quality. What's more, you will have a problem finding the perfect frame because they require you to use the video player of your choice and that tool on its own doesn't offer frame by frame support. In this article you will learn how to extract frames from video, or convert video to jpg images. So that you can use the video snapshot to create a meme or show the fun moments of a video. In the end, a bonus tutorial video is also available. Combine with the fact that exporting to a specific format can be either cumbersome or just unavailable, then you will fully understand why it's important to use a video editor just like Wondershare Filmora9 to extract those frames safely and with no quality loss in the end. It only takes 3 steps to extract frames from video in Filmora9 with intuitive interface. Most importantly, you will get precise frames, no annoying lags. All you need to do is to install the software and use follow instructions to start extracting. Don't waite. Download to have a try! Import the media file first either by using the app or via drag and drop on the main window. Videos will show as thumbnails in the library so you can choose the one you need without a problem. Next drag them to the Video Timeline and get ready for step 2. If you want to get the same resolution frame as the original, click the video in the Media Library and then click the Play button in the Preview Window. Take a screenshot when the video is playing simply by pressing the Snapshot icon or via pressing CTRL+ALT+S. Once you have the frame you can add in a variety of effects and features. You can choose to mask it, add in specific effects and also deliver some motion to make it more appealing. There are many customization options to choose from and it all comes down to you. After you are satisfied with the results you will be able to export your content. Click Export to start the export process, then choose the desired output format. You can easily customize the output file resolution and other settings depending on the format you choose. In conclusion, using Wondershare Filmora9 to extract frames from video is not only very simple, it also offers an amazing set of opportunities. We recommend you to try out the app immediately and you will surely have no problem extracting the desired frames. Extract the frames from any format file and remain the same quality as the original video. 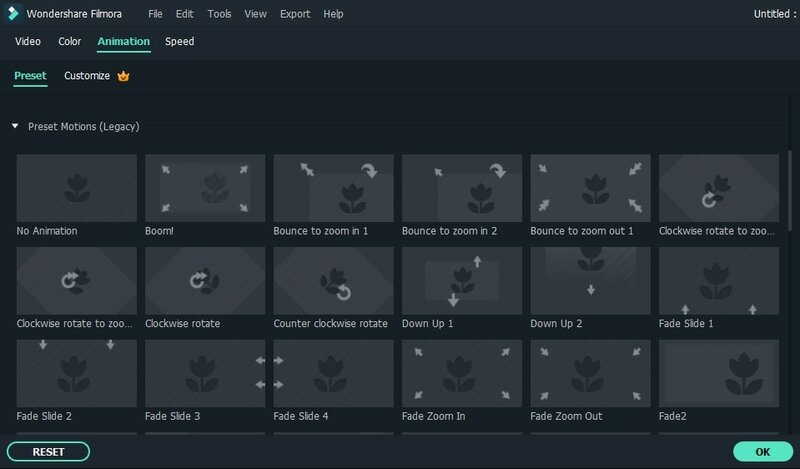 With Filmora9 video editor, you don't have a problem to extra frames from video. It has a wide support for various video formats, what's more, it supports 4K resolution, thus, you can extract the same 4K frame. It offers a great attention to detail, a focus on the exact moment that you want to extract from and at the same time you also have the ability to access features like Flash and Hold as well as Snapshot that makes the experience more refined and interesting to begin with. 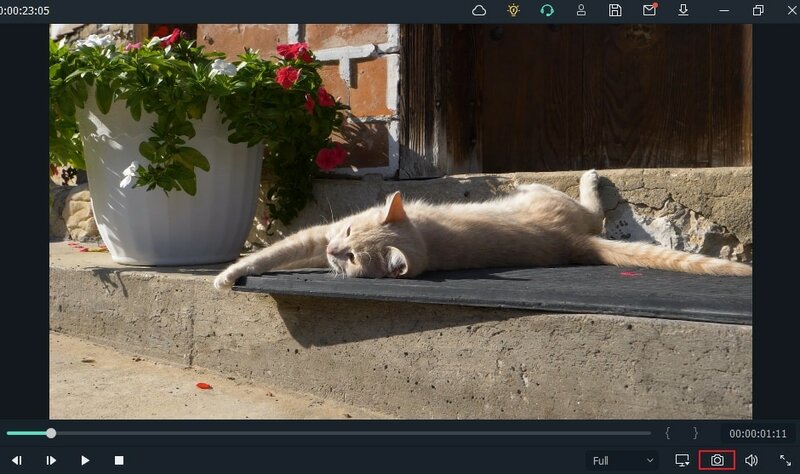 Filmora9 allows you to edit the extracted frames directly, which will make the entire process to extract frames from videos simpler. You know the result and the Filmora9 video editor offers you all the tools that you need in order to perform a perfect extraction and video editing. 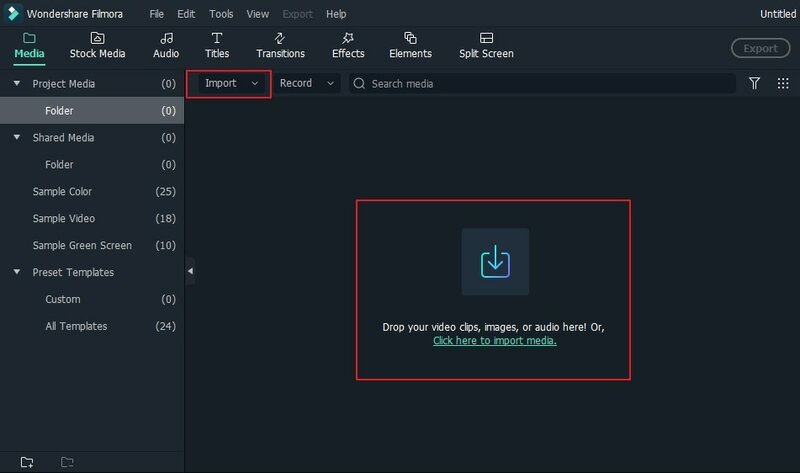 After extracting frames from the video or editing it in Filmora9, you will need to export your files online or to a backup media. Wondershare Filmora9 helps you export to mobile, to DVD or Blu-Ray, it even allows you to publish your work on Vimeo or YouTube if you want, it all comes down to you and the results will be great because of that. Watch the video below to check out the features of Filmora9. Trying to get jpg from video, right mouse click not doing anything, can any one advise? I love Filmora, but the snapshot and freeze frame options are lacking behind other editors. I do instructional videos and require a stop-explain-and move on...and it needs to be fluid. The ideal way is to get it from the editor, because you can place it exactly where it needs to be...making a fluid stop and go. But resolution is awful in final video. So, I went the route of extracting the snapshot from the original source. Great resolution, but REALLY hard to place it in the video EXACTLY where it needs to go. Many times I have a stop-explain-go with jump (shot not in right place). I use another editor that is great in fluid freeze frame from the editor (with matching resolution). I save the clip and bring it into the Filmora timeline. However, the other editor is upgrading so well, and I'm getting tired of using 2 editors to get the results I need, I am slowly using the other editor more than Filmora now...just because of this one issue. So what I wnt to do is not to find one frame but to actually convert the whole video to frames. I think there are some free websites that would do it. But I'd rather use watt I've already paid for with Filmora. Can Filmora convert a video file down to the frames it's made of? What you said is true, but the most important thing is do not drag and drop the video clips in the timeline before you preview it. The most important thing is do not drag and drop the video clips in the timeline. Select the video in the media library, play it in the preview window, find the frame, click the camera icon to get the screenshot. The screenshot has the same resolution as the original video clip. And then you can drag and drop the screenshot to your video and set up the duration of the screenshot to get a freeze frame effect. You can try it and let me know if it works for you. It would be better if we can get the screenshot in Filmora directly. I have tried this method: Select the video in the Media Library (DO NOT DROP IT TO THE TIMELINE) and then click the Play button in the Preview Window. Take a screenshot when the video is playing simply by pressing the Snapshot/camera icon or via pressing CTRL+ALT+S. You can try it and check if it works. "If you want to get the same resolution frame as the original, click the video in the Media Library and then click the Play button in the Preview Window. Take a screenshot when the video is playing simply by pressing the Snapshot icon or via pressing CTRL+ALT+S." You can try this method to check if the snapshot is clear. Laffer - I don't know what flash and hold is good for our how it works. But you don't need to play the video in full screen, and you don't need print screen. Just go to your media library within the program, select the original video. Play that. It's not a preview of your work. It's the original video. Find the frame you want to snapshot and then take the snapshot. The snapshot should now be in your media library, to use in the rest of your work. If that's not clear, please let me know. Jason - you mean play the original video full screen, find the frame, then snapshot it using Print Screen, save that image and drag it back into Wondershare as a high rez image? That completely defeats the purpose of the Flash and Hold tool, don't you think? Forgive me if I misunderstood your comment, and thanks for sharing.